As Joker's madness-inducing virus spreads over Gotham and a raid on the Batcave yields trophies for a macabre parade, Batman will be forced to make an equally mad choice. With his allies and resources limited, he will turn to the rest of his rogue's gallery for help fighting The Joker. But will even they be enough to tip the balance of power in Gotham City? 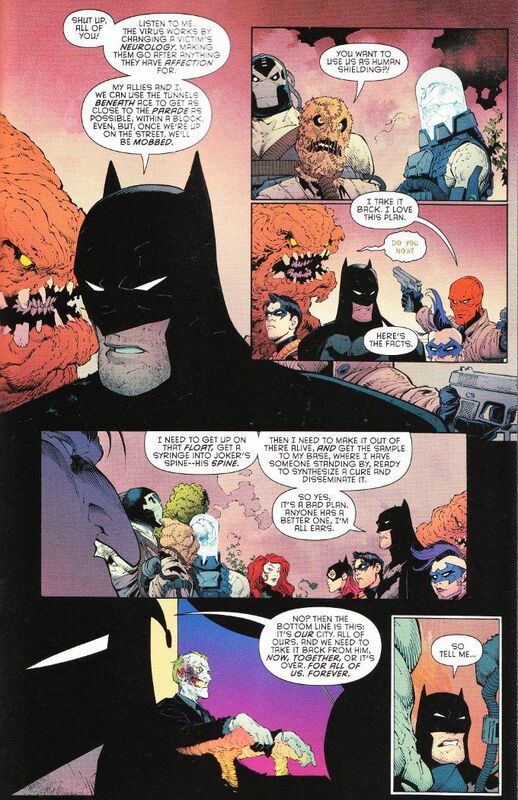 Scott Snyder's story continues to spiral out of control. Whether that spiral is going up or down remains to be seen but the ride is an enjoyable one so long as you don't worry too much about the sudden stop at the end. Greg Capullo and Danny Miki's artwork continues to be a real treat - the ice cream on the pie that is Snyder's script. The best part of the issue, however, may come at the end. 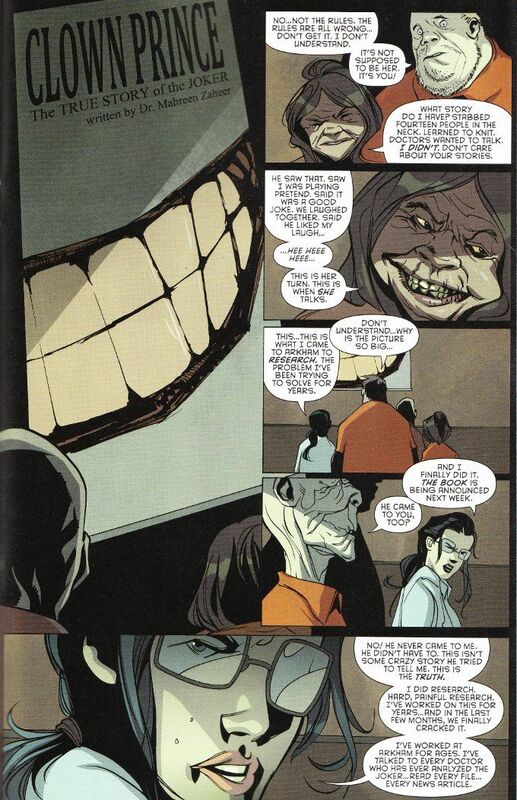 James Tynion IV's twisted take on The Canterbury Tales - where a number of Arkham inmates related how Joker had told them all the REAL story of how he became The Joker - has been a fairly amusing tale so far. But this issue - in which we learn the doctor's story and "the truth" that The Joker gave her - takes this story to a whole other level. And the artwork by Dustin Nguyen and Derek Fridoles makes this conclusion even stronger.